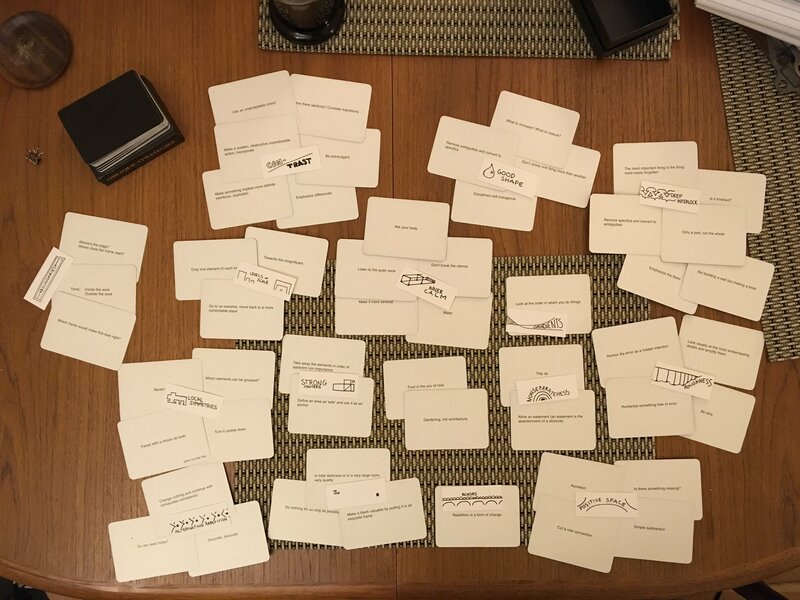 At World IA Day 2017 in Boston, Dan Klyn handed out these great little card decks representing Christopher Alexander’s Fifteen Fundamental Properties of Wholeness. Recommended use: Carry these cards around with you to help you notice the properties of wholeness wherever you go. 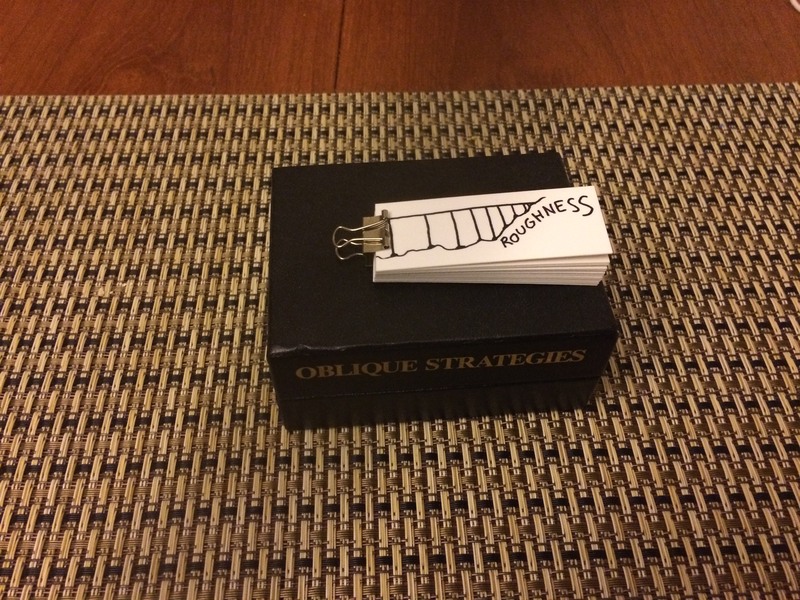 Yesterday, looking through my box of Oblique Strategies made me wonder: Are the Oblique Strategies related to the Fifteen Fundamental Properties? “Define an area as ‘safe’ and use it as an anchor” achieves a strong center. “Disciplined self-indulgence” might achieve good shape. “Simple subtraction” achieves positive space (or good shape). “Repetition is a form of change” describes echoes. “Make a blank valuable by putting it in an exquisite frame” is the void. “Don’t be afraid of things because they’re easy to do”. I don’t think I necessarily grouped them “correctly” or well. I’m still learning about the Fifteen Properties, and I understand some better than others. One thing I found interesting is that many of the Oblique Strategies are expressed as negations—which is appropriate, because they are meant to break assumptions and force change—but it also made it more difficult to associate them with positive properties (e.g. good shape). If nothing else, the fact that I affinitized them instead of using them for their intended purpose is proof that I’m an information architect. Next Next post: The politics of design: Why design is political. Why designers, developers, and engineers should care.